Congrats! This won top prize for intricate in my Brown contest! 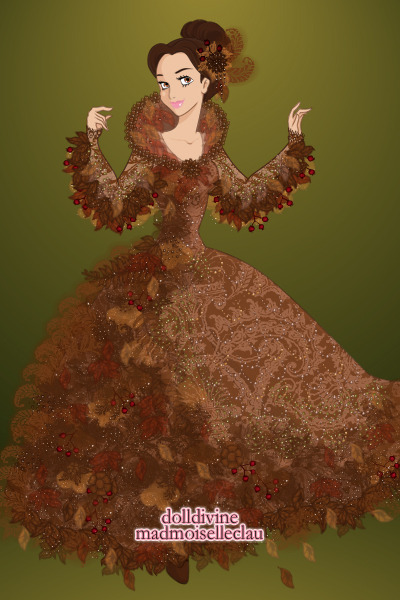 What a beautiful autumn gown. I love how you have the leaves falling off of the dress. Nice touch! Cool! I love the colors!